What is Cajun Seasoning? I am pretty sure most of you know what it is but are you not curious to find out, exactly what spices are in it? When you know what they are, it will be great to make your own because there are many benefits to it. And, what if you run out of Cajun Seasoning when you need it? Don’t worry. There is an easy substitute for Cajun Seasoning. Read on to find out. Cajun Seasoning is a spice blend that contains several types of spices. Its flavour is full-bodied and pungent. Cajun food comes from the deepest Southern parts of Louisiana and Mississippi. In “The Holy Trinity of Cajun cooking”, bell pepper, onion and celery are used to provide the base flavour for many dishes. There are many variations of Cajun Seasoning recipes. Depending on the companies who produce it, or should you make your own which I will explain below, the ingredients include any of the following. Check your spice rack. If you have the following spices, you can make a simple homemade Cajun Blend. To add more heat – add cayenne pepper. If you have dried herbs – add dried thyme and/or dried basil. Use an equal amount of the mentioned spices and herbs. Mix them thoroughly. Put into an airtight container and store in a dark cool place where it can be kept for several weeks. You may adjust the amount used based on your preferred taste. Or change the types of spices and herbs, depending on what you have in your pantry. There is no right or wrong blend. Just go with your taste buds. You are creating your own signature blend based on your desired palate. Isn’t it wonderful? Most importantly, salt can be reduced or omitted when making your own. It is much healthier compared to store bought which contain a high amount of sodium, MSG and other synthetic substance that you have a problem pronouncing them correctly. Waste not – make a small batch and use it up. It is definitely fresher than using from a bottle that was bought long ago. Pretty sure that there is a bottle of Cajun spice in the pantry. But, turns out not. What do you do? Rush to the grocery store or forgo the dish you were supposed to cook or find a substitute for Cajun Seasoning. The simplest substitute is chilli powder. 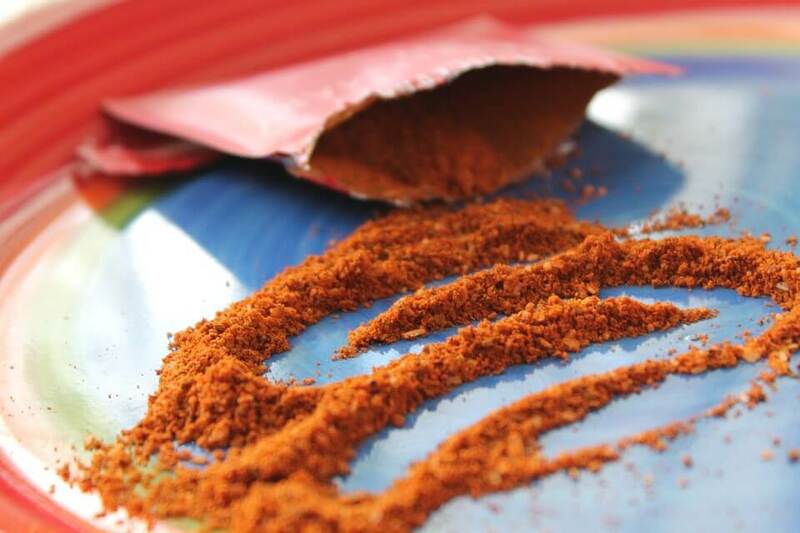 Most of the chilli powder contains cayenne pepper, cumin, garlic powder and oregano which are often found in Cajun seasoning. Now that you have your seasoning, how will you use it? I am sure you want to find ways to use it while fresh. Without much mentioning, this seasoning is very much associated with gumbo and jambalaya. And it goes well with chicken, fish, shrimp, pork and vegetables too. 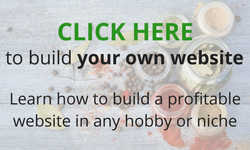 There are hundreds of recipes using Cajun seasoning published in the WWW which you can easily access. Google it! Spice up your sauce. Add to tomato sauce or meat sauce for pasta. Blend into Greek yoghurt. Use as a dip for baked potatoes or veggies. Forget the salt. Spice up your fried French Fries with Cajun Seasoning. Blend into ranch dressing, enhancing the flavour and add some colour to it. Serve over grilled chicken or cold meat salad. With these 5 simple ways plus any main dish you cooked, the seasoning will be used up in no time. I frequently visit my neighbourhood store which sells baking ingredients and supplies, including herbs and spices in smaller jars/bottles/packets, compared to those sold in supermarkets. During my last two visits, the Cajun Seasoning was out of stock. Now, you know why I decided to write this article. Yes, it was to find out what are the spices in Cajun Seasoning. So now I know and so do you, we can make our own! But then, if it is a hassle, worry not. There is a good range to choose from to suit your palate. Ranging from mild to flaming spicy. Here are a few brand names you may consider. Slap Ya Mama is a popular blend, No.1 Best Seller on Amazon. It gives a solid mixture of heat and flavour that consist of red pepper, black pepper and garlic. Available in both Original Blend and Hot Blend. For those who love the intense blast of spiciness, go for the Hot Blend. Louisiana Fish Fry provides a good balance Cajun Seasoning mixture – vibrant flavour with plenty of red pepper, garlic and paprika. Or opt for a healthier version – without salt. Sensational Seasonings has a Salt-Free Cajun Blackening Seasoning that combines the flavours of healthy spices and herbs while allowing you to add your own salt separately. Visit Amazon for more varieties. Now that you know how to make your own Cajun Seasoning, will you be making it or buy? As for me, I’ll need to check my pantry for available spices and herbs. If you cook often and have a well-stocked kitchen, I am sure you have most of them. Refer to the chart above – Spices in Cajun Seasoning to create your own signature blend. 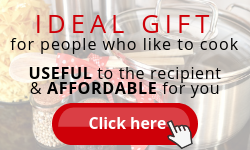 It is a great idea to make a homemade Cajun Blend and give it as a gift. I am sure you will bring delight to those who receive it. Do you have any other ways to use this seasoning? Or a particular brand or homemade blend that you can share with us? Please leave them in the comments section below. I like to know more. 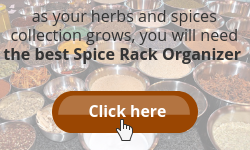 Before you leave, you may be interested to read a related article – About Spice Rub. Click here to find out. 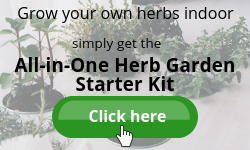 Are your collection of spices and herbs growing? 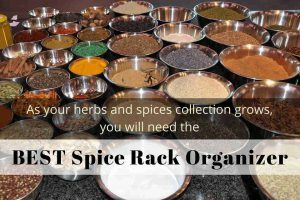 If so, you will be needing a Spice Rack Organizer to help you to declutter your kitchen counter, cabinets or drawers. I love using Cajun seasoning in my cooking but never really put any thought into its contents or the fact that I can make it myself, so thank you for that awareness! But one thing that got me surprised and that is blending this seasoning with Greek yogurt! I must try it and see how the family reacts to it! You’re most welcome Gina. Always happy to share. Hope your family love it. LOVE! LOVE! LOVE! Cajun Seasoning on my Chicken Wings. Also great to heavily coat a chicken breast with before cooking and then slice when done on top of some Alfredo Pasta. Add some cherry tomatoes and voila – easy to do and happy family at dinner time. 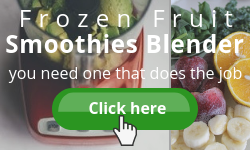 I didn’t realize blending a quick batch at home was so easy, great tip for future use. Thanks for sharing your way of using Cajun Seasoning. Sounds yummy. I will give it a try. Hi Sharon, thank you for this informative article. I love cajun cooking and so does my family but I have always depended on a store-bought mix. I had no idea what spices actually went into making it. Because you have included that here, I will be able to make my own and change the flavor profiles. Thank you!! Hi. Thanks for visiting. I am glad that you acquired something new from here. Cheers! Hi Sharon, Love the article. I’m a butcher but not working in the industry anymore but I always love to cook with Cajun Spices. I just about use it on all my meats but then add other ingredients like parsley, rosemary and mixed Italian herbs. I love the stuff. I never let myself run out but it’s handy to know I can make my own. I saw on your ingredients there is File Powder. I need to do a search on this one. Never heard of it. I have bookmarked your site so I can use some of those recipes. The popcorn idea sounds pretty good. Hi John. Thanks for taking time to comment. When I was researching for this article, I had to google File Powder too.Never heard of it till then. So, File Powder will be one of the subject title of my coming articles. Do visit periodically for more sharing. This is so cool. I have always wondered what is the flavor that really gives cajun that unique flavor! I would never have thought that celery would be a base for Cajun flavors. This is so cool and makes me want to go home and make some gumbo. Sounds so good right now! Thanks for dropping by Austin. Now you know what forms the Cajun cooking flavours. Enjoy your Gumbo! I love the taste of cajun seasoning. I especially like it on baked breaded catfish! Yummy. Thanks for the recipe and list of spices that I will need to make it myself. When I get the envelopes in the store of cajun seasoning, I find it has a lot of additives, which I don’t want. I prefer to make my own. When making our own, we can control what goes in. If we prefer more heat, we can always add more cayenne. Same goes to any herbs and spices that we fancy. Make your own signature blend and give them as gifts to your friends and relatives. I am sure they will love it. Good Day! Call me nuts, but the spicier, the better. I’ve never really tried cajun spices in any of my food. Maybe I’ll give it the noodle test. Thanks Dan for sharing the tastiest mix for ramen noodles. Sounds yummy – must try. Do let me know how your noodle test turns out. This is a very informative blog about cajun seasoning. I tend to make my own blend of seasoning which I use practically every day. Have you thought of growing your own hot peppers? When they are ripe and bright red, you can dehydrate them and then crush them to be used in cooking. Thanks for dropping by. I have planted hot peppers several times through out the years. It was pretty easy to grow but I have problem maintaining them. They often ended up either with leaves bacteria or flowers dropping. If not mistaken, it was only one time that I successfully harvested some fruit for cooking. Now that you mentioned it, you got me thinking if I should grow some again. Perhaps this time, I should find out more on hot pepper plant maintenance. And share with all my readers. Thanks for dropping by and took the time to leave your comments. Have a good day Corrine! I love cajun-seasoning and use it often, but never made my own. Thanks to the great info you provided i will be making some today. The only ingredient I do not have is onion powder. Would I be able to substitute dried onion flakes? Will be ordering “Slap Ya Mama”, hot blend of course. A favorite of mine is blending cajun-seasoning with mayonnaise. If you like grilled cheese, try using this spiced up mayo instead of butter. I even use it to bread chicken fingers. Yes, you may use onion powder and dried onion flakes interchangeably but do note that 1 teaspoon onion powder is equivalent to 1 tablespoon dried onion flakes. Thanks for sharing your idea of blending Cajun seasoning with mayonnaise. Grilled cheese – yummy. I am a huge spice fan. I particularly love the flavour and tastes it produces. I never knew Cajun seasoning contained several types of spices within it! So I was a little bit confused when I read the title of he page. Blond moment! This was so interesting. I really enjoyed reading your post. I am glad you enjoyed reading it. 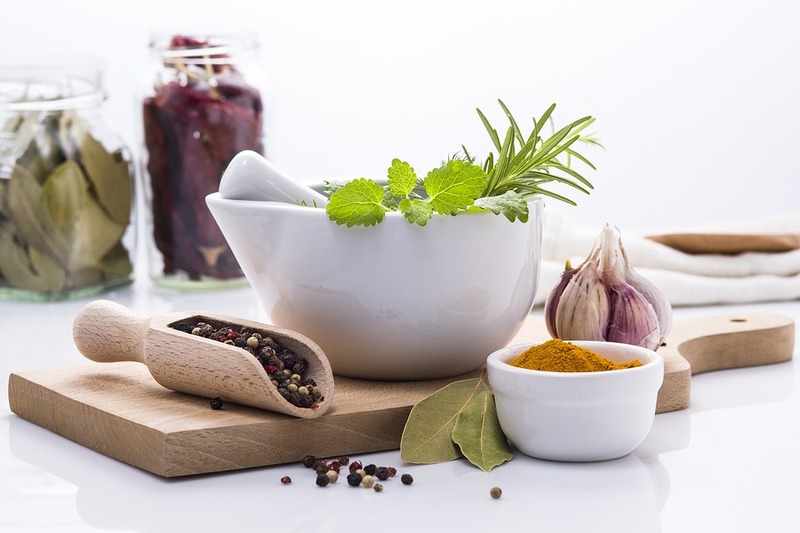 Knowing a bit more about herbs and spices help us to use them more effectively in our cooking. 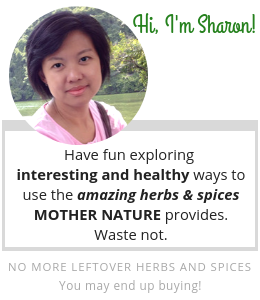 Do drop by periodically for more post on herbs and spices.